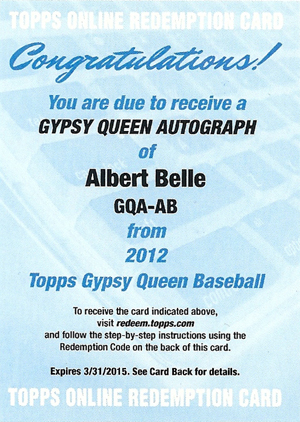 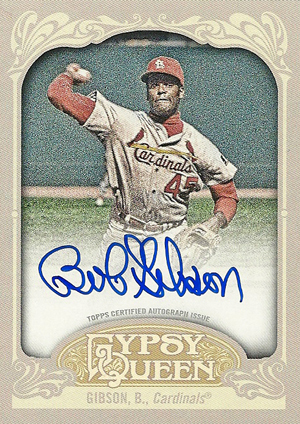 Autograph collectors of all types should find something of interest in 2012 Topps Gypsy Queen Baseball. 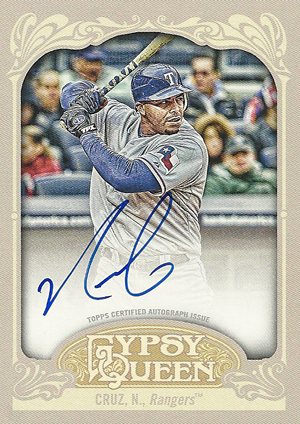 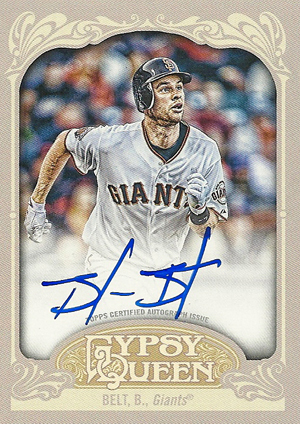 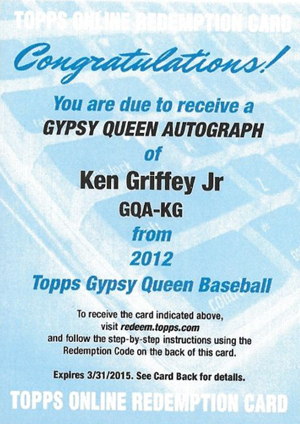 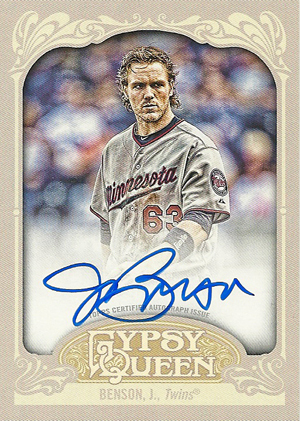 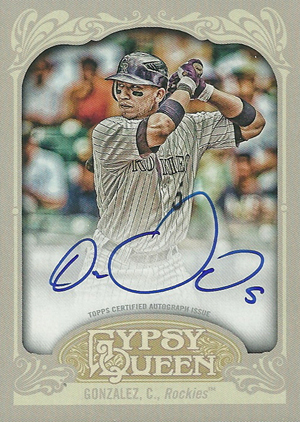 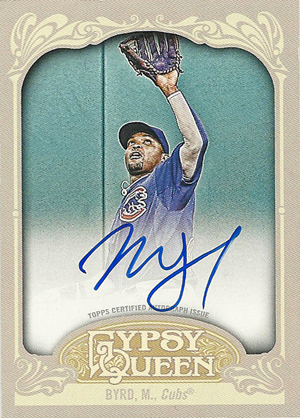 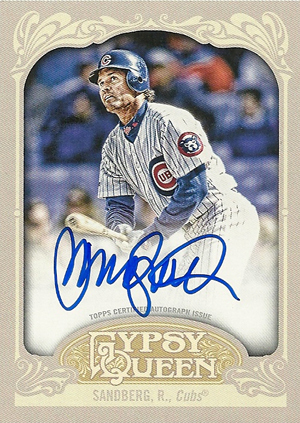 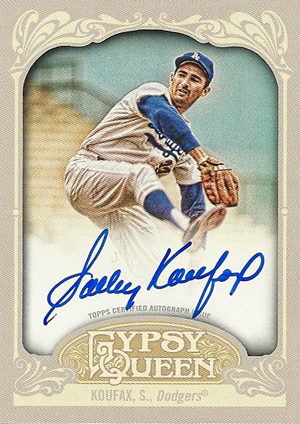 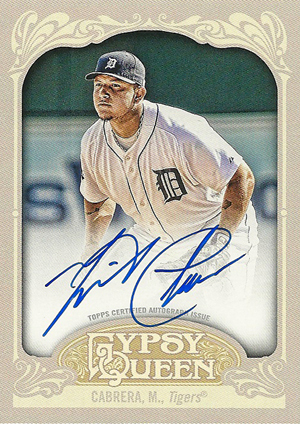 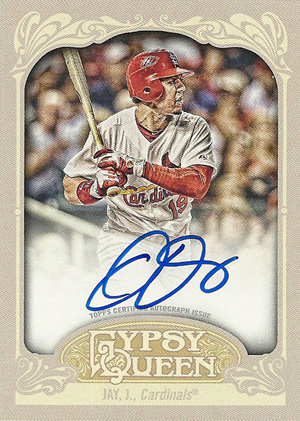 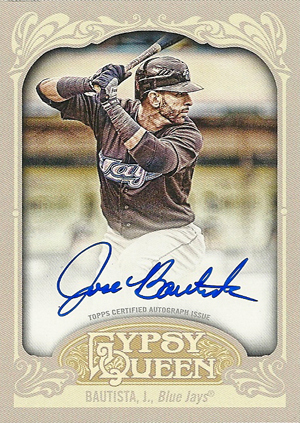 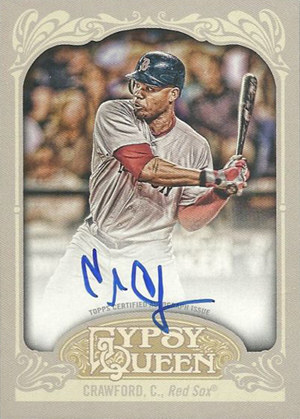 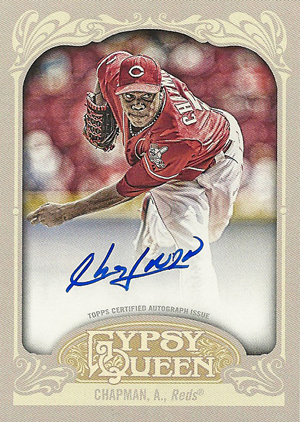 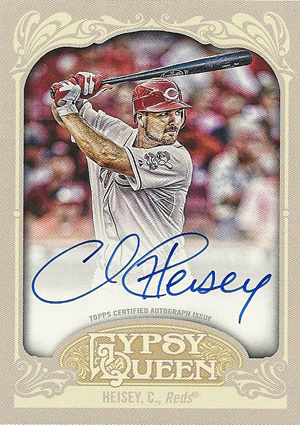 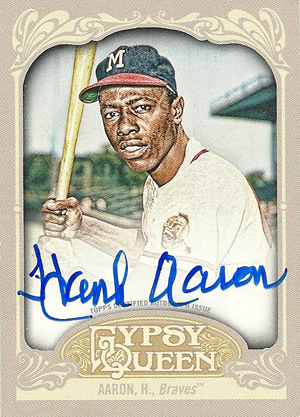 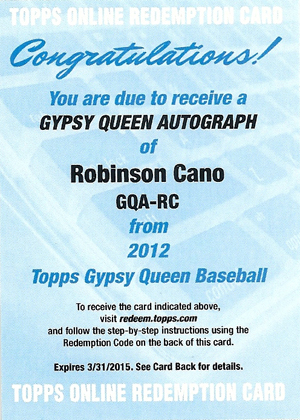 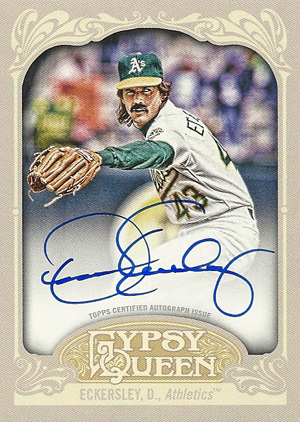 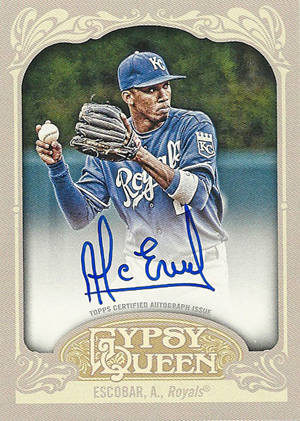 The basic 2012 Topps Gypsy Queen Autographs checklist has a total of 73 different players. 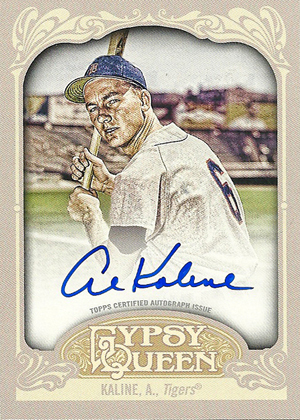 Ranging from several generations, top names from the past include Hank Aaron, Willie Mays, Sandy Koufax and Al Kaline. 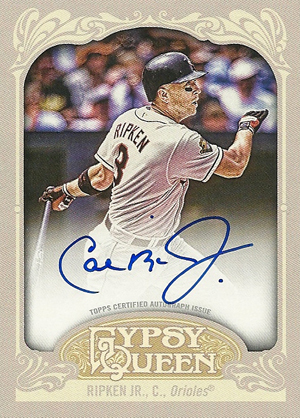 Recent legends and hobby stars include Cal Ripken Jr, Ken Griffey Jr. and Frank Thomas. 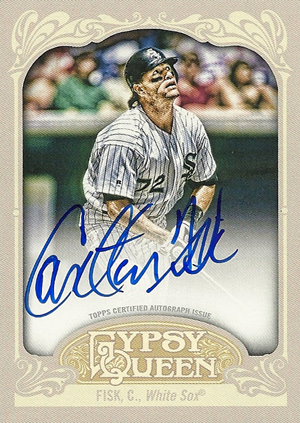 Of course, there are also tons of present-day superstars. 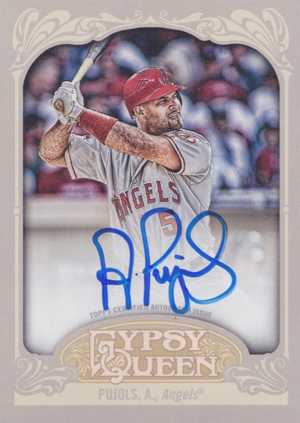 Albert Pujols, Jose Bautista and Felix Hernandez are some of the highlights. 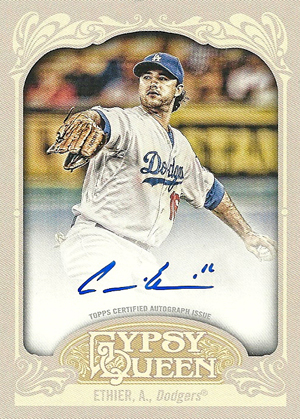 However, the card that is likely to get the most attention is none other than Yu Darvish. 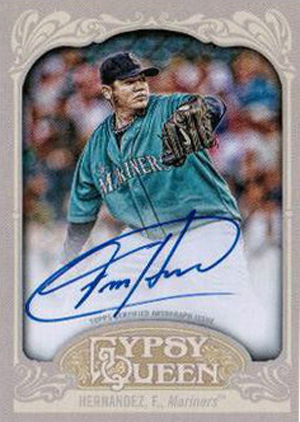 Although the Japanese pitcher already has autographs in 2012 Topps Tribute and 2012 Topps Museum Collection, both of those are redemptions. 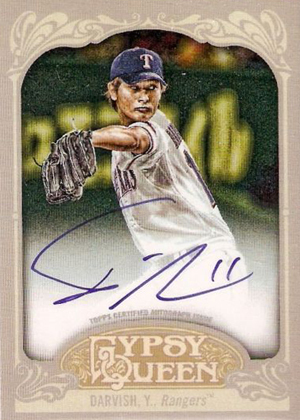 These are the first pack-inserted Darvish cards. 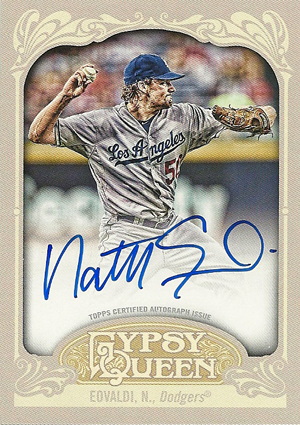 Just 25 Darvish autographs were produced. 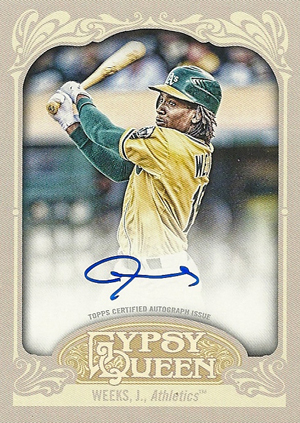 One has already sold on eBay for $525, although expect that price to be trumped quickly as the card was purchased before the official release date. 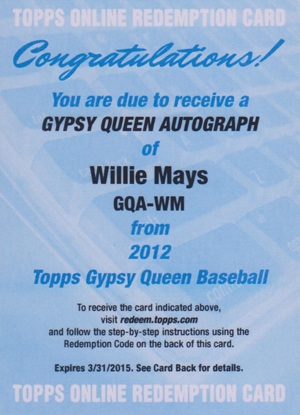 It's likely that it slipped past many potential buyers and was scooped up with a "best offer." 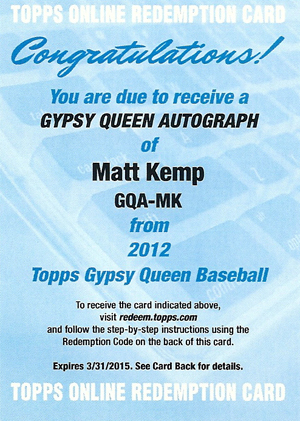 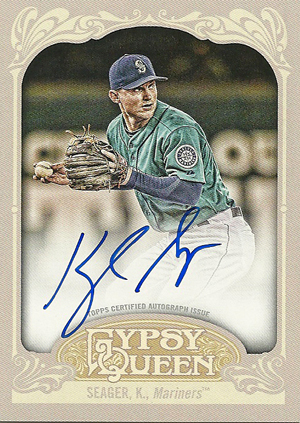 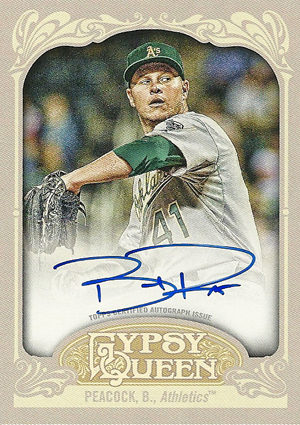 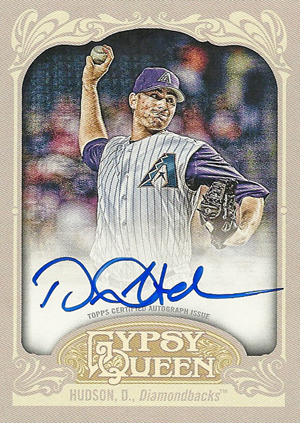 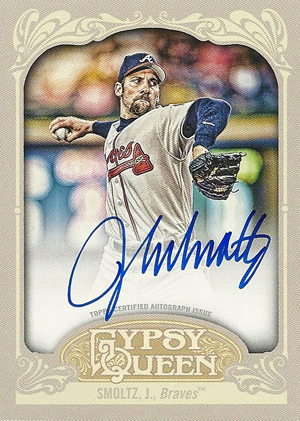 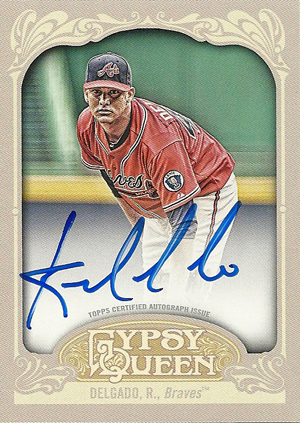 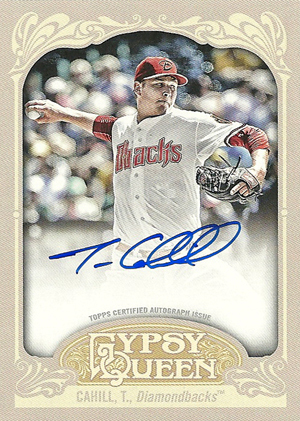 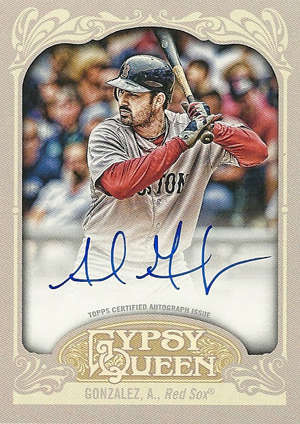 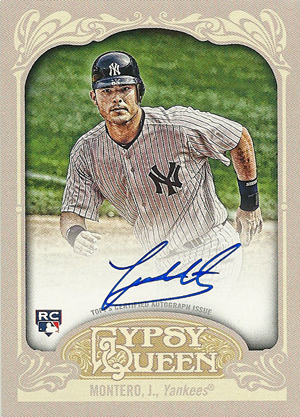 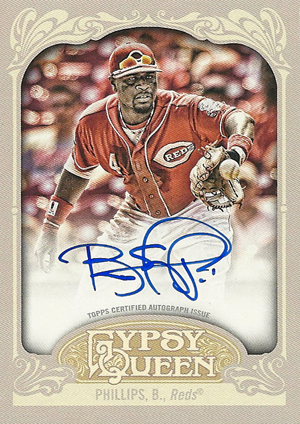 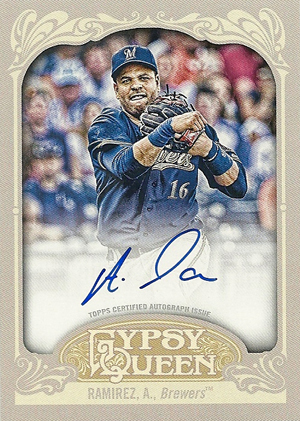 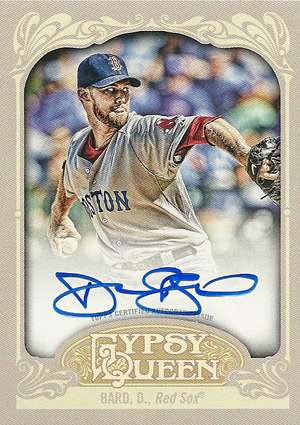 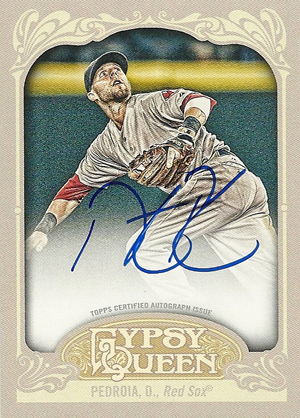 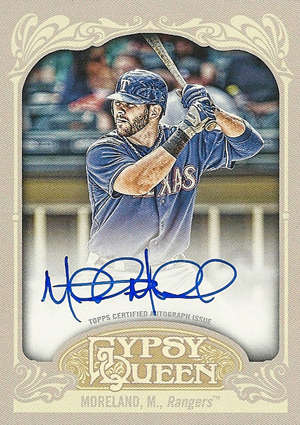 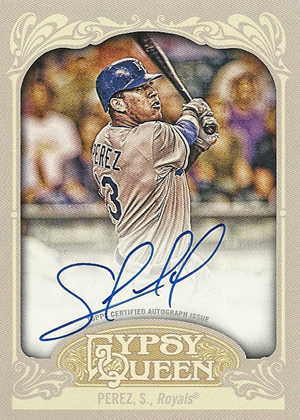 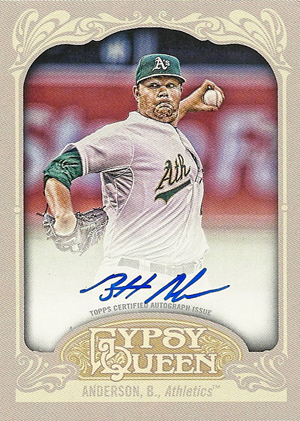 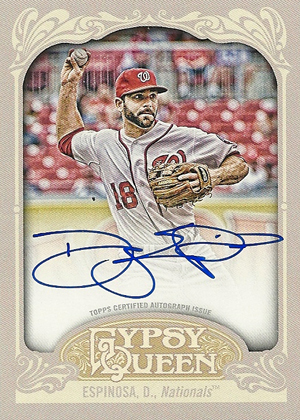 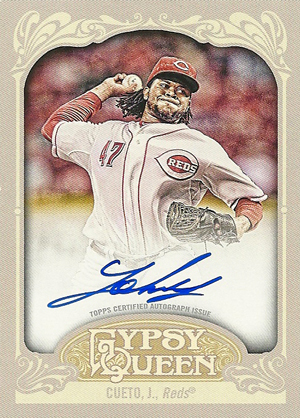 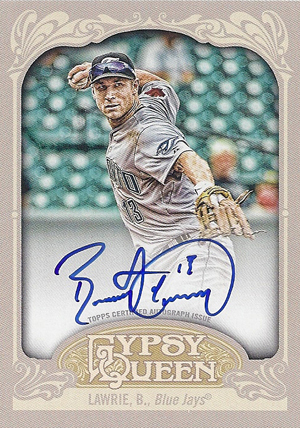 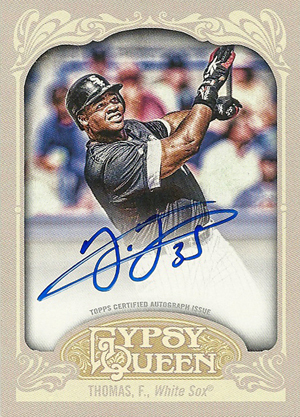 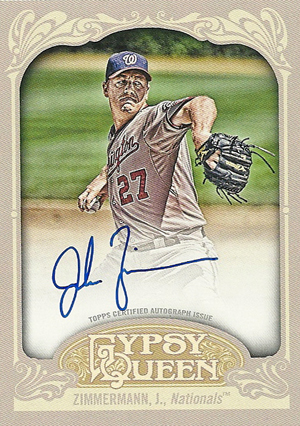 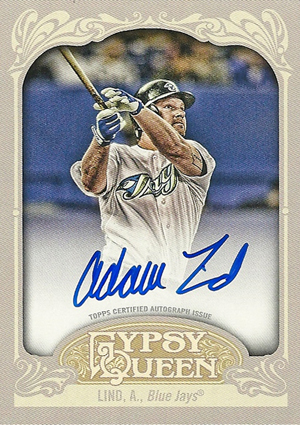 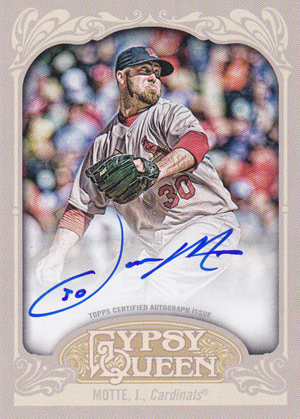 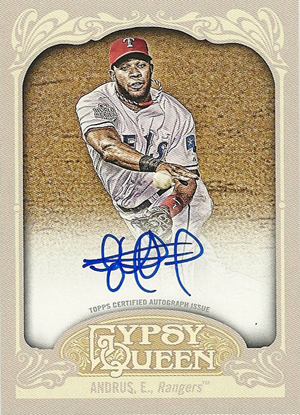 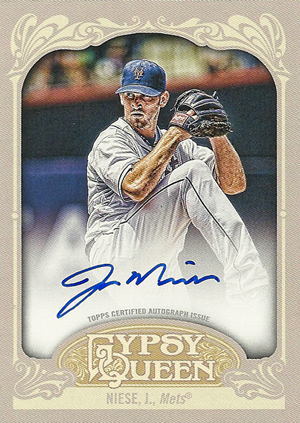 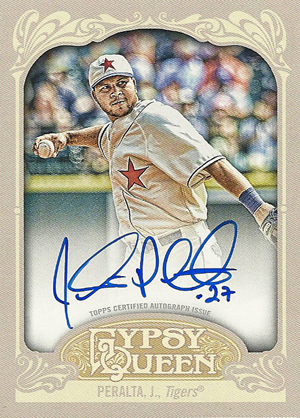 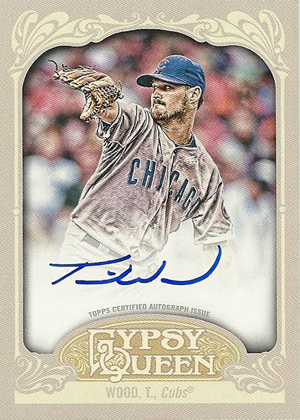 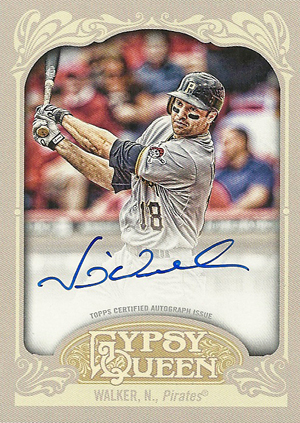 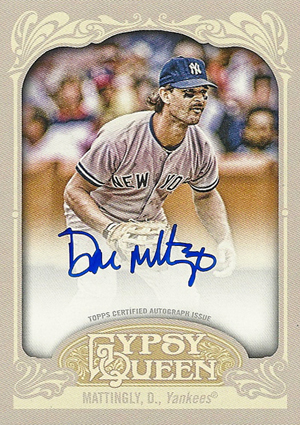 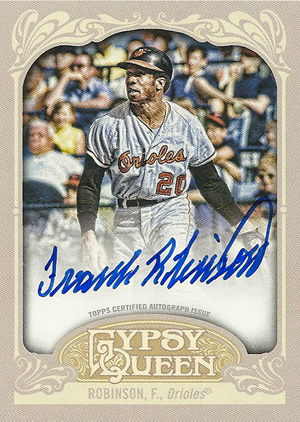 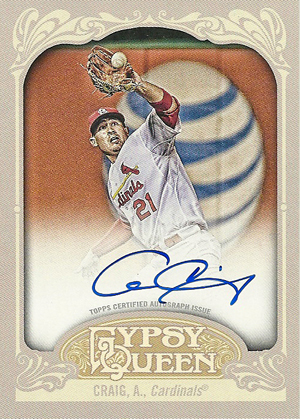 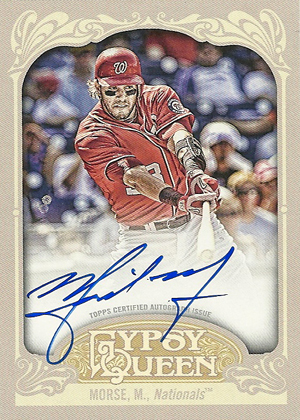 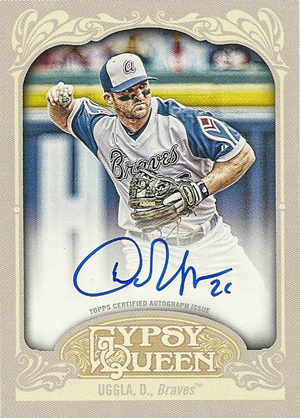 All of the main 2012 Topps Gypsy Queen Autographs feature on-card signatures. 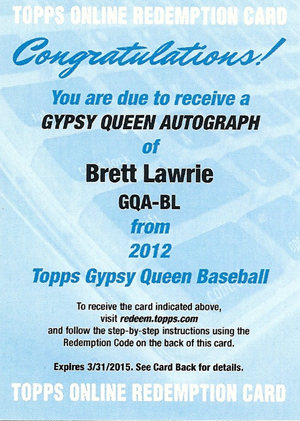 Oddly, some Brett Lawrie autographs are live in packs. 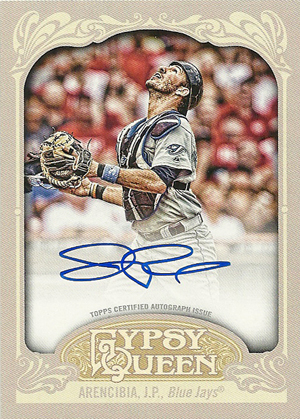 Early eBay listings indicate there are more redemption cards, though. 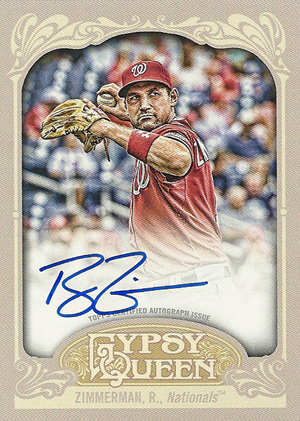 Hey Ryan I was curious if you or anyone knew which autos were in which groups. The odds on the wrappers have 3 groups A, B, and C with verying odds per group. 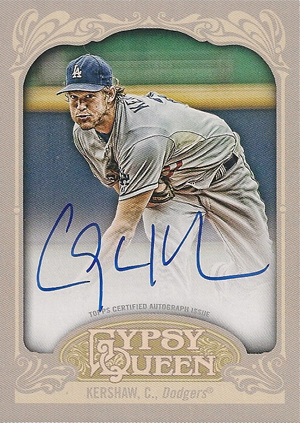 cynicalbuddha (ID 40625) � At this time I do not. 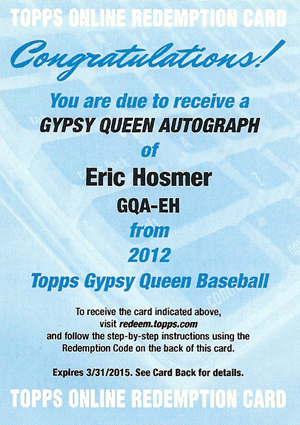 I’ll see what I can find out.